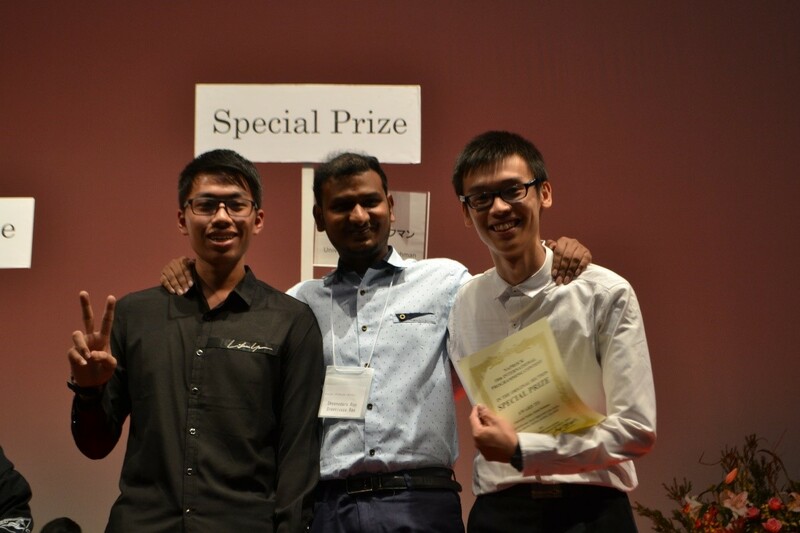 A team of three Software Engineering students from the Lee Kong Chian Faculty of Engineering and Science (LKC FES) won the Special Prize for the Original Section of the KOSEN PROCON Programming contest. The team was comprised of Seah Sheng Hong, Dheenodara Rao Sreenivasa Rao and Wong Jia Hau. They were sponsored by Silverlake and the Chinese Weekly to represent Malaysia to compete at Tokushima City, Japan. They were accompanied by their mentor LKC FES Head of Internet Engineering and Computer Science Department Ts Dr Madhavan Balan Nair, Japan Graduate Association of Malaysia Chairman Tham Kok Thong and representatives from Chinese Weekly Tank Kah Yen and Beatrice Chong Ying Hui. 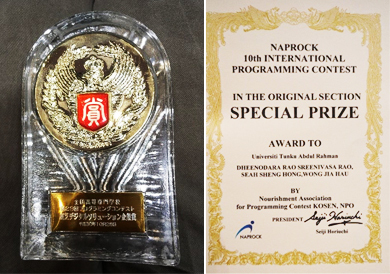 The contest was organised by Nourishment Association for Programming Contest KOSEN (NAPROCK) from 27 October 2018 to 28 October 2018. 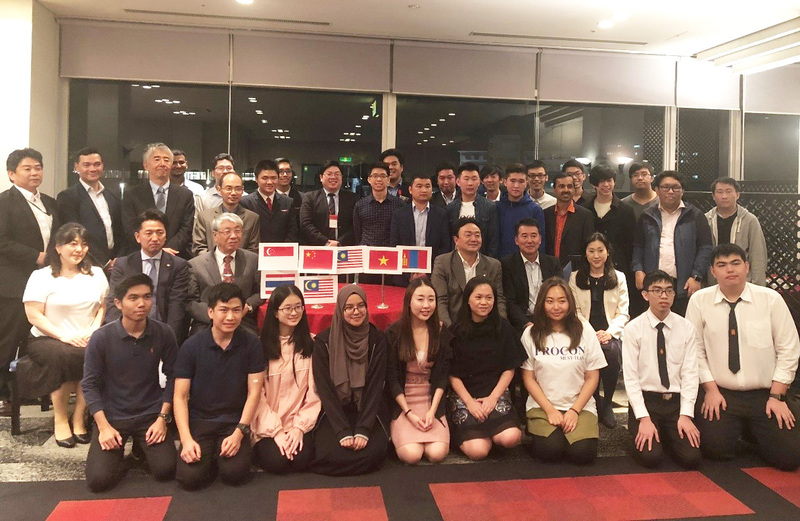 More than 60 Japan technical colleges and 8 international teams from 7 countries participated in this competition, including Singapore, Thailand, Taiwan, Malaysia, Vietnam, Mongolia and Hong Kong. The participating teams were required to compete with their developed system based on their own theme and innovative ideas. Knowing that the audience is mainly Japanese native speakers, the UTAR team used a storyline concept and graphics visualisation techniques to explain their idea, with the assistance of translator Fatihah. Their winning project was titled “Time Table Arranging Program”. This programme provides students with all possible time slot combinations to prepare their timetable for pre-registration, including time constraint before they do the actual bidding. UTAR was one of the four international teams that won the special prize under the original section. Other teams were from Singapore, Thailand and Taiwan. In addition, UTAR was the only international team to win the Toshiba Enterprise Prize. 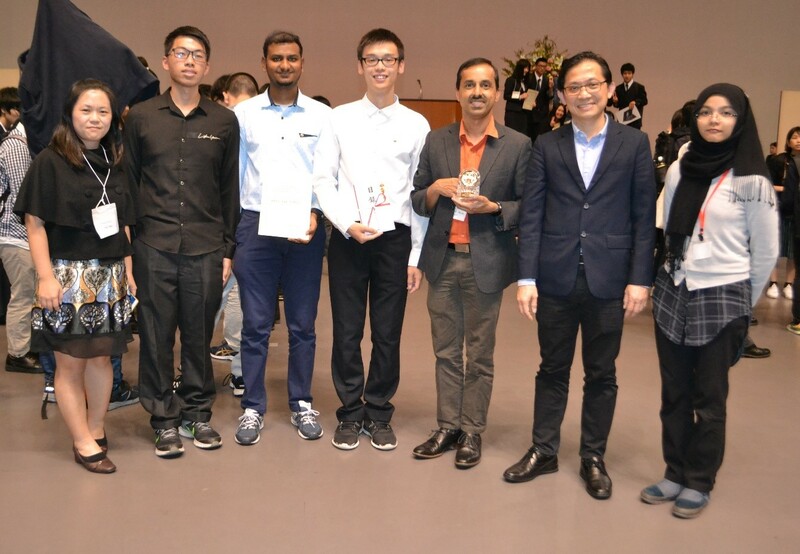 This is the first time an international team has won an enterprise award, where each UTAR student was given a Toshiba Robot Vacuum Cleaner, worth about RM3,000.